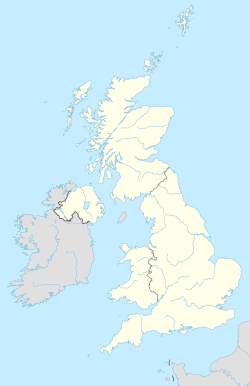 The OX postcode area, also known as the Oxford postcode area, is a group of 26 postcode districts in England, which are subdivisions of 17 post towns. These postcode districts cover most of Oxfordshire, including Oxford, Banbury, Abingdon, Bicester, Witney, Didcot, Carterton, Kidlington, Thame, Wantage, Wallingford, Chipping Norton, Chinnor, Woodstock, Watlington, Bampton and Burford, plus very small parts of Northamptonshire, Buckinghamshire, Berkshire, Gloucestershire and Warwickshire. The original OX6 district for Bicester was recoded to OX25, OX26 and OX27 in 2000, while the OX39 district for Chinnor and the OX49 district for Watlington were formed out of the OX9 district at the same time. In 2001, the original OX8 district for Witney was recoded to OX28 and OX29. OX postcode area map, showing postcode districts in red and post towns in grey text, with links to nearby CV, GL, HP, MK, NN, RG and SN postcode areas. ^ "Which districts have been recoded by the Royal Mail?". Experian QAS. Retrieved 24 November 2013. ^ "Royal Mail Update 32". Beacon Dodsworth. Retrieved 24 November 2013.